Have you ever wondered how the images go from a file in my camera to hanging on your walls? It's all a part of the process, and the post-process is one of my favorite things about being a photographer. I love images. It's why I do what I do. And during editing I get to decide which images speak, which are important and which will be loved. 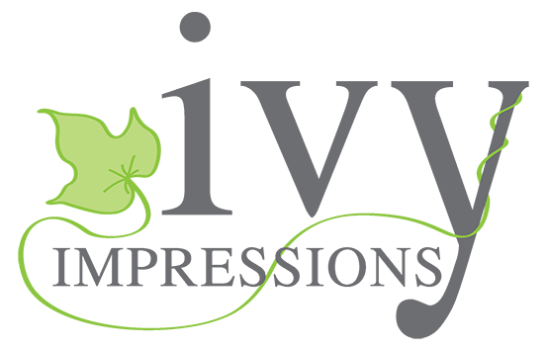 2018 marks 6 years since I started this photography business Ivy Impressions. As a photographer I continually strive to improve at my craft, develop my artistry and perfect my process. I learned photography with a fully manual camera, shooting black and white film. I now shoot with two different digital SLR camera bodies and a variety of lenses. One area that I have really worked on is honing my process during editing. Back in my film days I'd shoot and develop the film, make a contact sheet of the negatives, and from there choose which images to print larger. When I started shooting professionally, I was using my digital SLR cameras. It's very easy to shoot hundreds of images in a short amount of time! I spent HOURS culling through the images shot at each session. Then more hours editing the chosen images to my style. I would spend many, many hours on the post-processing of each and every session, putting love into each and every image I delivered. Over the years, as my style developed and I really learned what type of imagery I want to deliver, that post-processing time frame has shortened. I can now move easily through the culling process. If I shot 300-500 images at your session, you will probably see about 50 of those (that’s the beauty of digital!). First I do a quick run-through checking the technical aspects – believe it or not, I do not shoot a technically perfect image every time! If an image isn’t technically up to par, it’s dumped. Next, I go through all the images again and dump anything that isn’t cohesive with my style or my vision for the session. Lastly, I go through all the images again and select only the ones I feel are the very best. What makes an image ‘the very best’? Sometimes it’s the lighting, the pose, the eyes, the mood, the emotion or the interaction. Most times, it’s a combination of all of those things. That oftentimes makes the decision for me. I want every client to love their images. They’ve hired me because they liked what they’ve seen of my work, so I have to trust that my gut feeling will lead me the right way when choosing the images that are presented to my clients. While I still give so much love and attention into each image that you’ll see, I can do this much more quickly than when I started six years ago. It’s one of the skills as a professional photographer that I’m really proud that I’ve improved on over the years. Culling the images from a session is one of my favorite parts of the whole process. There are moments during every session, when I click the shutter and I just know I’ve captured something special. I love when I’m going through the portraits from the session for the first time and I can immediately identify those ‘moments’. That is one of my favorite things about being a portrait photographer…feeling that in my gut, then seeing it come to fruition on my screen and ultimately in print in the family’s home. Have a question about another part of my process? Drop me a line or leave me a comment, I’d be happy to chat about it!